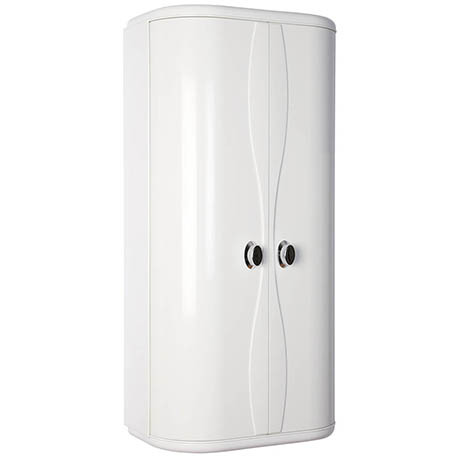 This practical double door cabinet is ideal for small spaces and keeps the bathroom clutter free. The doors elegantly rotate to open while the three internal shelves offer plenty of storage and are adjustable. The cabinet is made from hard wearing ABS water resistant material and comes fully assembled.